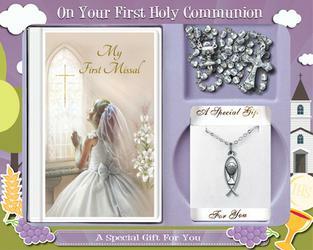 A First Holy Communion Gift is given by a loved one and loved for life, by the recipient, on that Special Occasion. 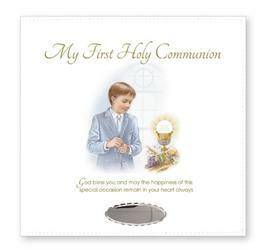 All these First Holy Communion Gifts for boys and girls make that perfect day unforgettable. Silver Plated Metal Communion Certificate Holder. Girls First Holy Communion Leatherette Photo Album. Boy's First Holy Communion Rosette & Medal Gift Set. Boys Silver Plated Crucifix and Missal Gift Set. My First Communion Keepsake Bracelet Gift Set. Girl's First Holy Communion Photo Frame Gift Set. Girl's Communion Photo Frame Gift Set. 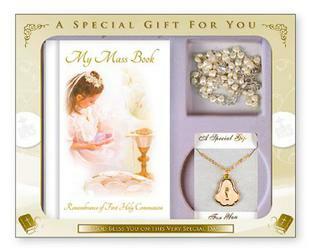 Girls First Holy Communion Heart Rosary & Book Gift Set. White Chalice First Holy Communion Keepsake Gift Set. Blue Communion Gift Set with Rosary & Rosette. First Holy Communion Gift Set for a Girl. My First Missal Book Set - Holy Communion Gift for a Girl. Girls Pink First Holy Communion Rosary Gift Set. First Holy Communion Gift Set for a Boy. 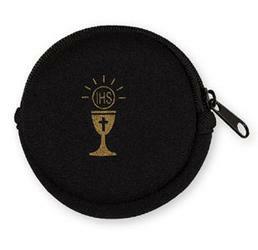 My First Holy Communion Gift Set with Symbolic IHS Chalice. Boy's Blue Rosary Rosette & Medal Communion Gift Set. First Holy Communion Rosary Beads Gift Set for a Girl. First Holy Communion Rosary Bead Gift Set for a Boy. First Communion Mass Book & Pen. Boy's First Holy Communion - Book & Pen. 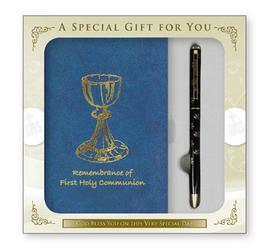 Blue First Holy Communion Gift Set - Book & Pen. 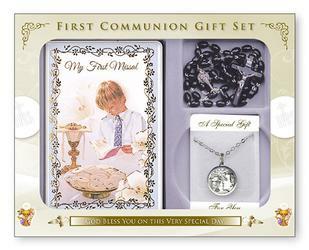 White First Holy Communion Mass Book Gift Set & Pen. First Holy Communion with Book & Pen. Boy's First Holy Communion Gift Set - Book & Pen. Girl's First Holy Communion - Book & Pen. White Communion Handkerchief with Lace Edges. Silk Cloth Communion Handbag with Bow and Pearls. Silk Cloth White Communion Rosary Purse.